The verdict came on as many as eight petitions that had raised the issue whether an SC/ST community member in one state can seek reservation in another state where his caste is not notified as SC/ST. The bench was also seized of the question whether SC/ST people of another state can seek quota benefits for government jobs in Delhi. 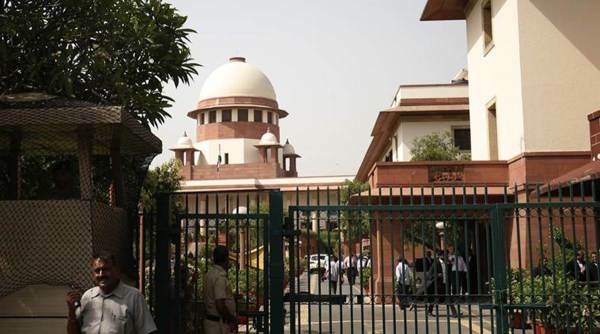 The Supreme Court on Thursday reserved its verdict on petitions seeking a seven-bench examination of its judgment in the M Nagaraj case which had put conditions for granting quota benefits for job promotions to SC/ST employees working in the public sector. A five-judge constitution bench, headed by Chief Justice of India Dipak Misra, reserved the order on whether the 12-year-old verdict granting reservation to SC/ST employees working in the public sector required consideration by a larger bench or not. The verdict also mandated the state to ensure that the reservation did not lead to excessiveness so as to breach the upper ceiling of 50 per cent or obliterate the creamy layer or extend the reservation indefinitely. The Centre and various state governments had sought reconsideration of this verdict on various grounds, including that the members of the SC/ST communities are presumed to be backward and considering their stigma of caste, they should be given reservation even in job promotions. Alleging that the Nagraj verdict had put unnecessary conditions in granting quota benefits to the SC/ST employees, the Centre sought its reconsideration by a larger bench. Appearing for the Centre, Attorney General K K Venugopal said there was a presumption of backwardness in their favour. He said the SC/ST communities have been facing caste-based discrimination for long and the stigma of caste is attached to them despite the fact that some of them have come up. Senior advocate Rajeev Dhavan, appearing for one of the petitioners, had earlier contended that a lot of confusion has occurred due to conflicting judicial pronouncements given by different benches of the apex court and high courts. At the hearing on Wednesday, senior advocate Rakesh Dwivedi, who represented those opposing quota in promotions, had told the bench that earlier there was presumption of backwardness with regard to SC/ST communities. There should not be quota in promotions for higher services as the presumption of backwardness of SC and ST employees “vanishes” once they join government service, he had claimed. Dwivedi added that the quota in promotions for SC/ST may be continued for class-IV and class-III services, but should not be allowed for higher services. Earlier, the top court had questioned the logic behind granting quota in promotions in government jobs to the kith and kin of affluent persons among the SC and ST communities who have been holding high official positions. It had asked why the ‘creamy layer’ principle, used to exclude the affluent among other backward classes (OBCs) from enjoying the fruits of reservation, cannot be made applicable to deny quota benefits in promotion to those affluent among the SCs and STs.